We knew that ramen was versatile after excitement over the ramen burger reached fever pitch, but Serious Eats' J. Kenji Lopez-Alt ups the ante with a new, original creation: ramen pizza. Lopez-Alt's recipe subs in ramen crisped up in a cast iron skillet for a traditional wheat crust. It looks like an Italian version of Hong Kong-style crispy noodles, which are also crunchy on the bottom. Serious Eats has published several articles about ramen recently for its popular Ramen Week, but ramen pizza is definitely one of the weirder ones to be featured. Take a look at it below, and hop over to Serious Eats for the recipe. 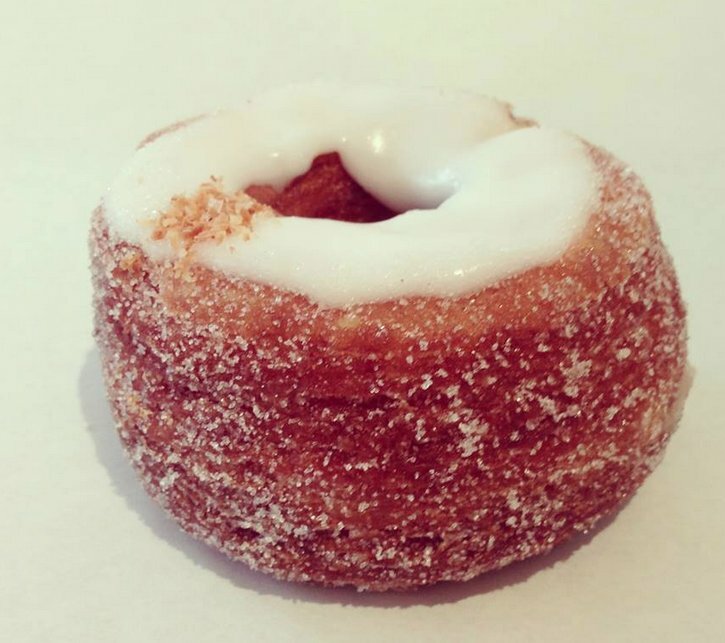 Where would the food world be without cronuts? This croissant-donut hybrid has gone viral in a way that no dessert has before. To understand the pandemonium surrounding the dessert, read chef Dominique Ansel's Food Informants diary <a href="https://www.huffpost.com/entry/food-informants-dominique-ansel-cronut_n_3562955?utm_hp_ref=food-informants" target="_blank">here</a>.